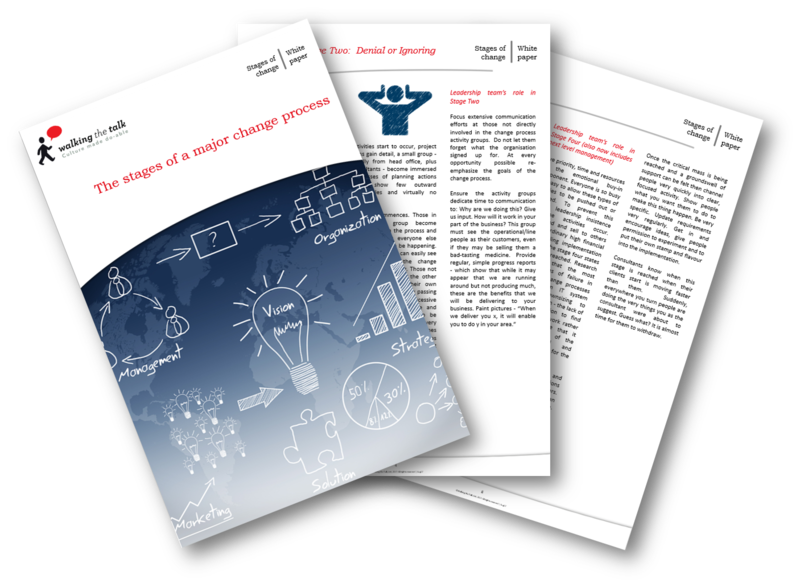 Thank you for your interest in The Stages of a Major Change Process White Paper. To download please complete and submit the form. The purpose of this paper is to assist leaders to predict, recognise and manage well each phase so that the change process objectives are achieved, and in the shortest possible time. The proposals are in, the business case built, the potential bottom line impact looks good. Leaders see the intended change as likely to provide new contribution to the performance targets they are struggling to achieve. Some individuals are genuinely excited and already advocates - either because of their functional position or their genuine vision of what the change process could achieve. In a group of 200 senior managers there may be 5 genuine advocates at this stage.